As a roofer who has tried and tested many flat roofing products I find this to be without doubt the market leader. Installing this product to your home or business you can sleep assured your flat roofing issues will be a thing of the past. EB operatives are trained to high standards when installing this product and to date have never once had an issue after installation. The only issue with this is it’s that good you will never need a roofer to maintain your roof as it is all maintenance free as well! 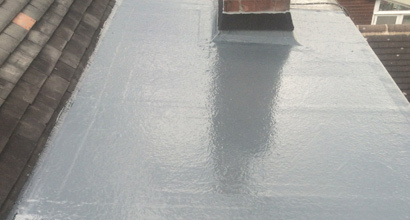 GRP roofs come with a lengthy guarantee as standard. Flat roofing problems are a thing of the past with this outstanding product. 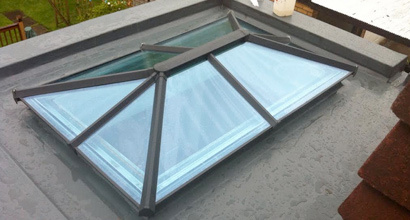 EB roofing can supply and install these roof types to high standards with excellent guarantees. 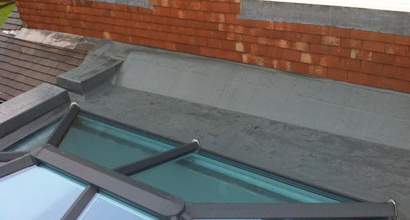 GRP Fibre Glass roofing can be supplied and fitted with a choice of colours to suit your requirements. 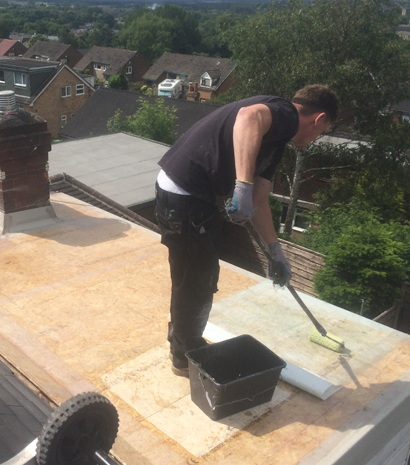 EB Roofing recently completed a job to re-tile the roof of our 1920’s 3 bedroom semi-detached house. The work also involved replacing all gutters and fascias. We used EB Roofing for this big job, having had a good experience on a previous job 18 months ago (during which they fixed a problem three other roofers had failed to correctly diagnose). Throughout the whole process, from planning to completion, Edward and his team were a pleasure to deal with. He took the time to answer all of our questions and concerns before we committed to the job and was quick to address the couple of snags we encountered during it. Edward clearly takes pride in his work, which we found very reassuring. As we have two small children, we were keen for the most disruptive parts of the job to be carried out while we were on holiday. Edward accommodated this, so we were fortunate enough to return home to find the bulk of the work completed. We are delighted with the final result and were pleased with how clean and tidy everything was left at the end. I would have no hesitation in recommending EB Roofing to friends and neighbours (in fact one neighbour used them for some minor work while they were on-site and is also very happy).